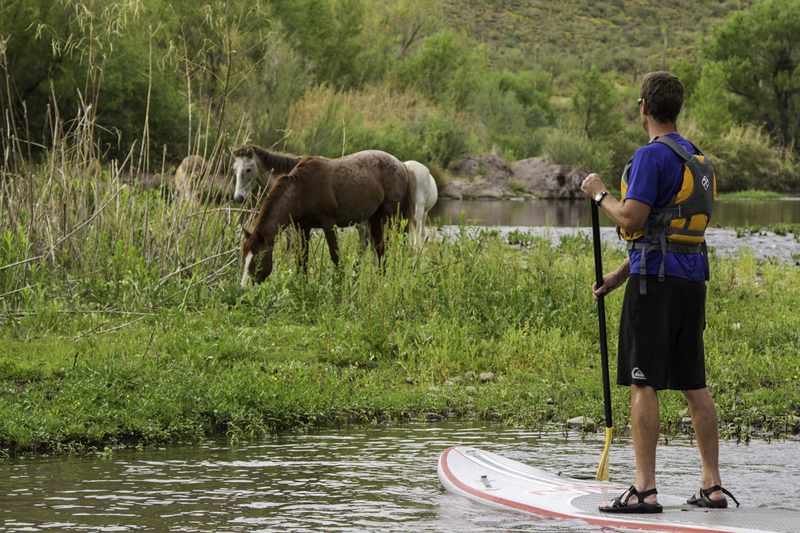 Float trip douses desert stereotypes and puts paddlers up close and personal with wild mustangs, blue herons and bald eagles. 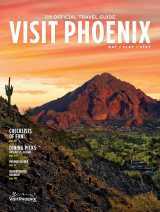 In Arizona, encounters with wildlife are frequent yet never commonplace. No matter what creatures I see—birds, bobcats, deer, foxes, lizards, snakes—the moment is always unexpected and thrilling. It’s May, and I’m on the Lower Salt River, preparing to nudge my bright-yellow inflatable kayak into the water. I’m strapping on my life vest and holstering my water when I look up. There they are, on the opposite bank of the river: four—no, wait, five—wild horses. I still myself, but the horses don’t seem bothered by my presence or that of my fellow kayakers, who are using their smart phones to capture the moment. The horses go right on sipping water and munching grass in the shallows. These are magnificent animals, wild mustangs with glossy chestnut coats and distinctive white markings. 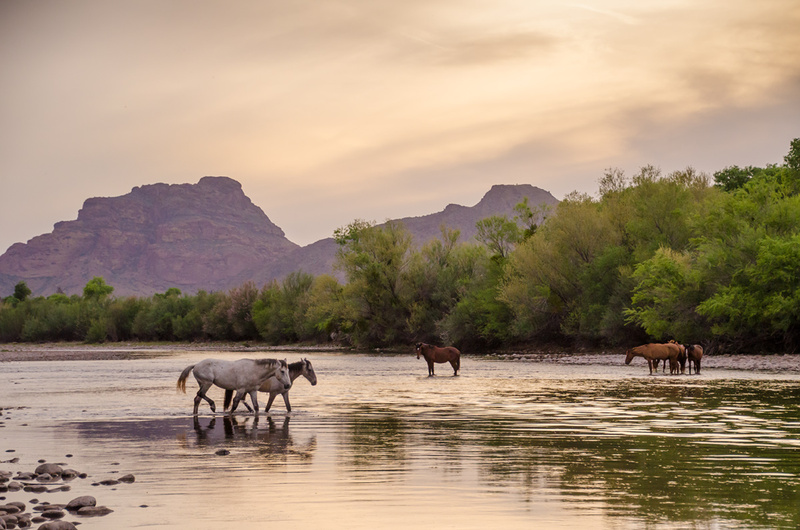 Roaming the wilderness of the Salt River and surrounding Tonto National Forest, they are equine stars with their own Facebook page. Recent efforts by the U.S. Forest Service to round them up and remove them were met with vehement opposition by many Phoenicians, and other impassioned wildlife advocates across the country rallied in their defense. The plan was scrapped. The herd, which is estimated at about 300, is believed to descend from the Spanish horses brought to Arizona in the 1600s by Father Eusbeio Kino. It seems to me that the horses—which outdate the establishment of the national forest, in 1902—are at home here. A few minutes pass. I’m grateful for this brief encounter, as hoof hits rock and one horse after another wanders out of sight. This won’t be my last wildlife sighting on today’s two-hour trip. 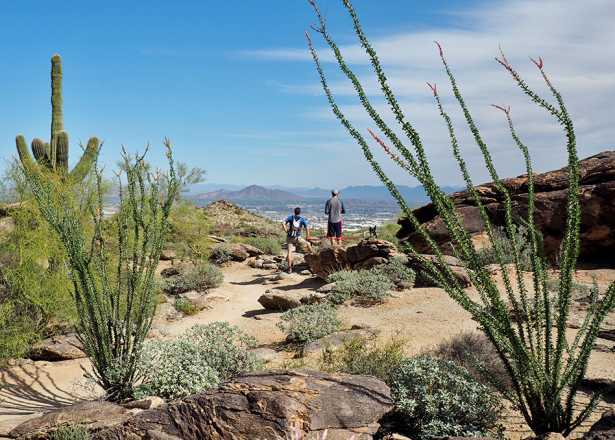 The Salt River has been used as an irrigation source for thousands of years, first by the indigenous Hohokam people and today by a growing population in metropolitan Phoenix. There are some Class III whitewater rapids on the Upper Salt, but the flow is smooth enough for beginners here on the Lower Salt. The water is calm, its surface glinting slivery under the warm morning sun. We’re here on a Thursday, well before the tubers who descend onto the river most weekends; the only sounds are birdsong and the skittering of squirrels. This is such a leisurely way to experience the unexpected—water in the desert. 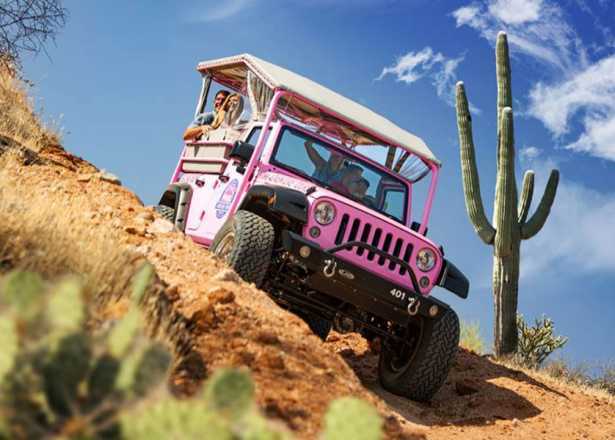 We drift in silence, floating past rugged cliffs that jut skyward a thousand feet and iconic saguaros that stud the hillsides. It’s scenic and peaceful. Occasionally, I lap the surface with my paddle. I train my eyes upward. Yes, that’s a bald eagle, the guide confirms. I also spy great blue heron, egrets, hawks and osprey. At eye level, a mule deer peers out from the dense foliage near shore. Fish jump. A gentle breeze cools my skin. I smile. I dunk my feet in the water. I pull a granola bar out of my pocket, taking contented bites. I wave to some anglers. I daydream. My companions appear equally blissed out. Our guide suggests we return for a moonlight paddle and the chance to see nocturnal wildlife. “Maybe you’ll spot javelina,” he says. I love those pig-like denizens of the desert. That’s all the invitation I need. Local outfitters 360 Adventures and Arizona Outback Adventures offer kayaking and paddleboarding tours of the Lower Salt River. These guided tours typically last a half a day, and late spring and summer are the best times to spot wild horses. 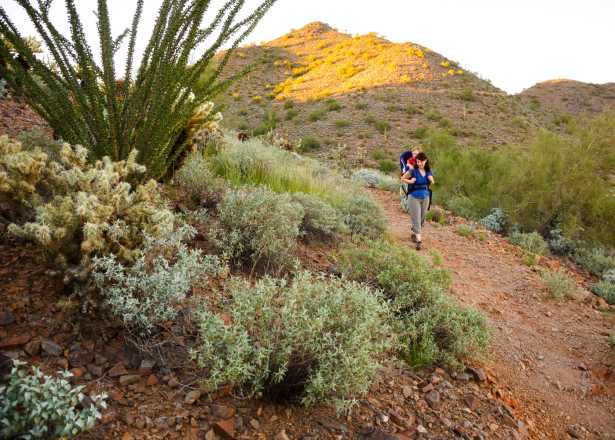 Maximize the enjoyment of your adventures and keep yourself safe from the desert's unique hazards with these safety tips.